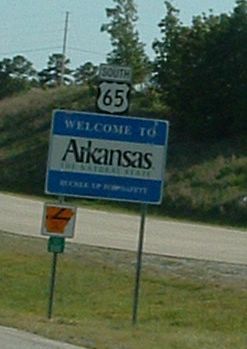 Both Paul’s, Jock and Deb left southeastern Ohio May 18th to drive to Springfield, Missouri to visit Bass Pro shops, then on to Arkansas and the Buffalo National River. 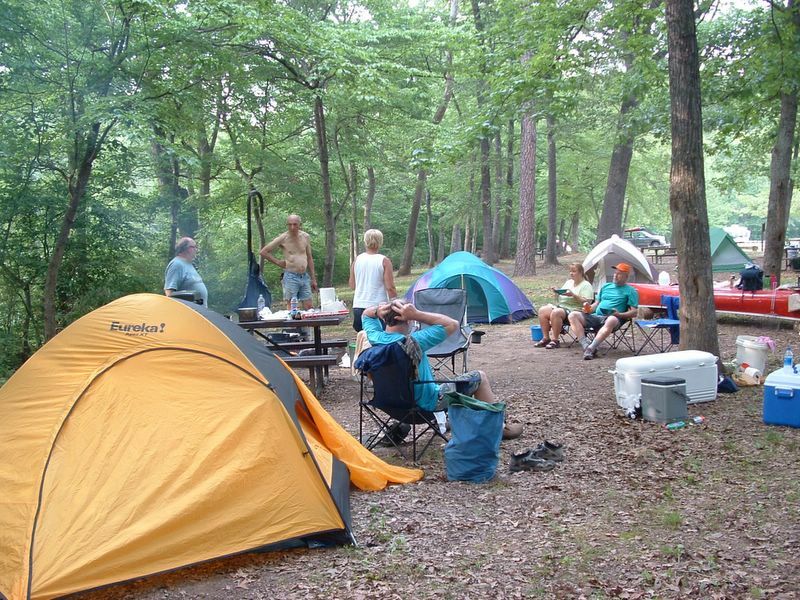 Jeff and Tony left northern Ohio May 19th and drove 12 straight hours to the Lost Valley Campground near Ponca, Arkansas, with hopes of hooking up with the other folks. 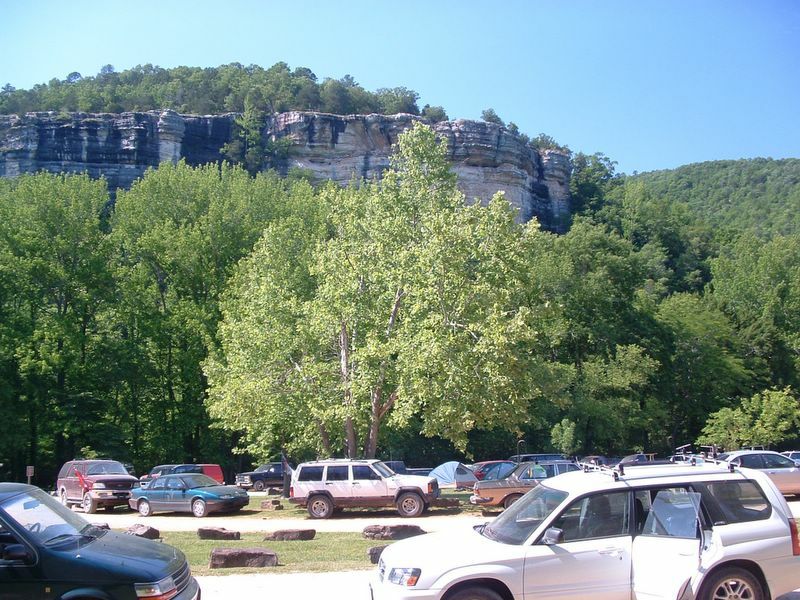 The campground was filling up fast as all campgrounds do in the Buffalo River area on the weekends. If you go to the area, try to plan on missing the weekends. We found a site with plenty of room and set up camp. We left Ohio with rain and a temperature of 46 degrees and drove into sunny, 90-degree weather. We headed into the tents at dark and listened to some type of frog shrill all night long. We woke to the summer sounds of birds chipping in the early morning light. There still wasn’t any sign of the Paul’s or Jock’s and we couldn’t contact anyone as cell phones do not work in the valley, but if you drive to the top of the highest hill you may get lucky. Jeff and Tony took a morning hike to Eden Falls and Cave. A real relaxing hike in a beautiful forest with the sun rising over the hills. 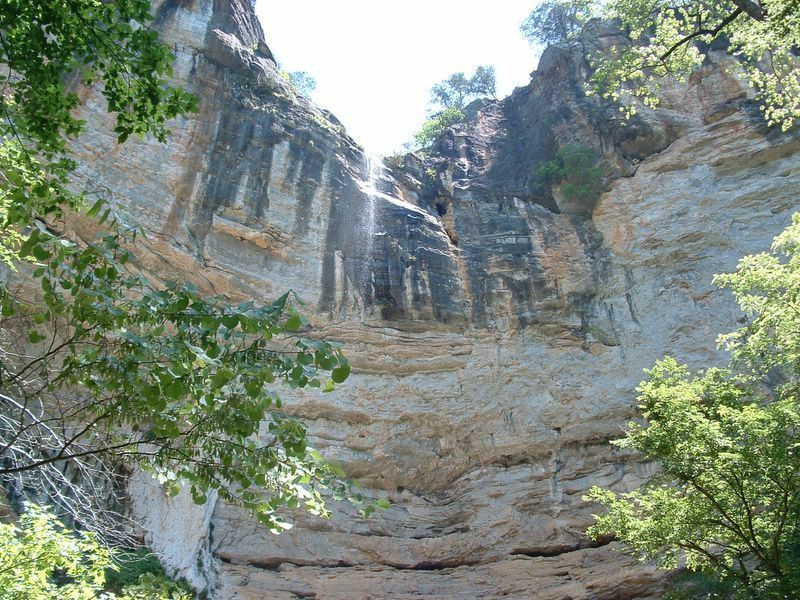 The falls were barely falling due to the lack of rain After their 2.2-mile walk, camp was packed up, and there still weren’t any other OHCRA members there. 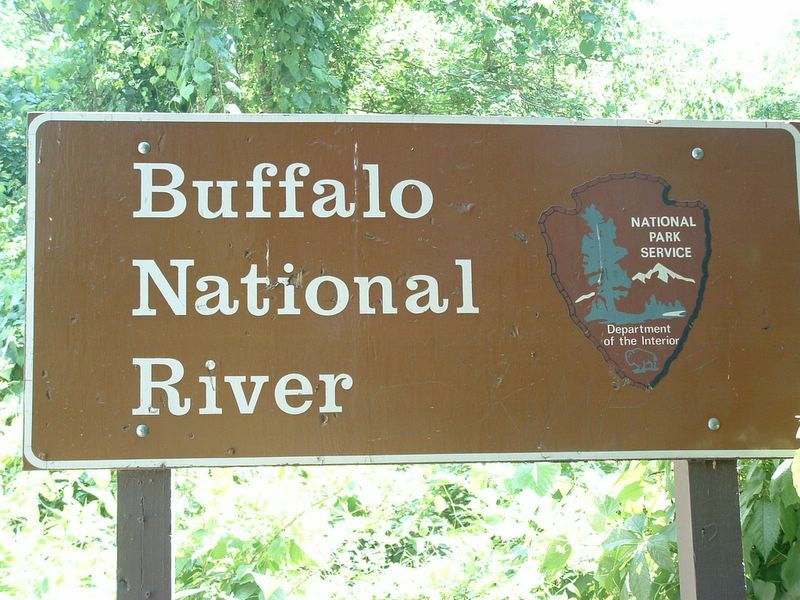 The water at the upper stretches of the Buffalo was very shallow due to the lack of rain 2 weeks prior to our trip. Jeff took a kevlar canoe and not wanting to damage it, he drove to the next scheduled campground downstream to find a campsite. Jeff dropped Tony off at the Ponca Landing for a 10-mile paddle to Kyle’s Landing. 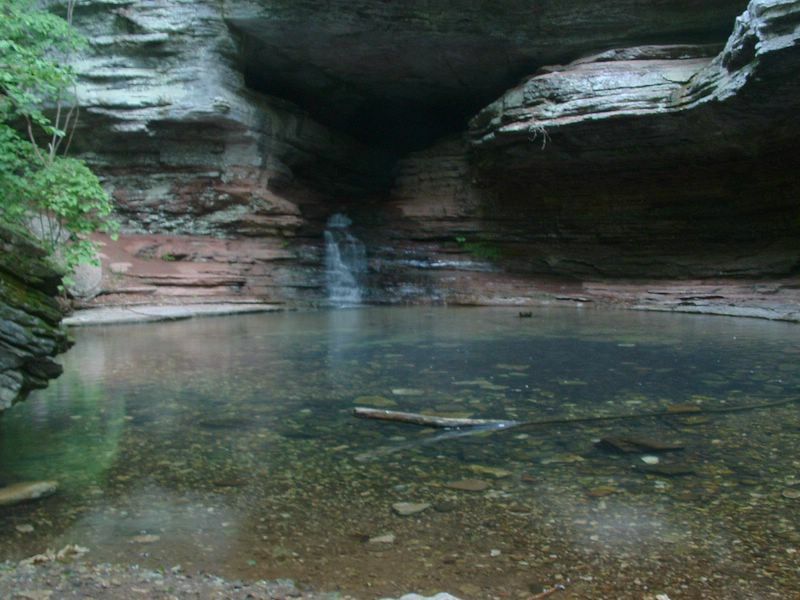 Halfway down his paddling trip Tony stopped at Hemmed-In-Hollow, a 1.4-mile round trip hike to one of the highest waterfalls in Mid-America at 175-foot. Being on the river, the weekend before the Memorial Day weekend, there were just sooo many canoes. There were groups and groups of people enjoying the river. After paddling ahead of one pack of canoes, you round the next bend to see another pack. This is a very popular paddling river. When reaching the Buffalo area around 10:00a.m. Paul W. dropped Paul K., Jock and Deb off at the Steel Creek Landing for an eight mile paddle downstream to Kyle Landing. Paul W. was there to meet them and while carrying gear up to the parking area, Paul looks down at the landing to see Tony waving up at him. Jeff had a campsite and we all wandered up to set up camp and relax. We decided on a phrase for this trip after seeing what all everyone brought: "We just have too much s~~t." We had a group of young kids camped right next to us. They were partying and having a great time, all night long. Not Deb and Jock, whose tent was real close to their party!! Sunday May 21st we awoke and just milled around eating breakfast and commenting on another beautiful hot day. Yesterday was sunny and in the 90’s and today promised to be the same. Paul W. and Jeff ran shuttles again while the rest of us canoed down to Ozark Landing. The scenery was fantastic, with shear rock walls reaching to the rising sun. You could see years of erosion on the soft rock and little caves dotted the walls. Jock and Paul K. tried their hands at fishing. Jock caught some smallmouth while Paul pulled in babies. The water was deeper now but not by much. We acquired many new scratches, or added character, as we like to call it, to our canoes. Paul just received his new brand new canoe a week earlier. A Wenonah, Rendezvous and after only 8 miles on the water it looks as bad as Tony’s 2 year old Wenonah. Jock and Deb tried playing with a 5 foot black snake but it wasn’t interested in their company. 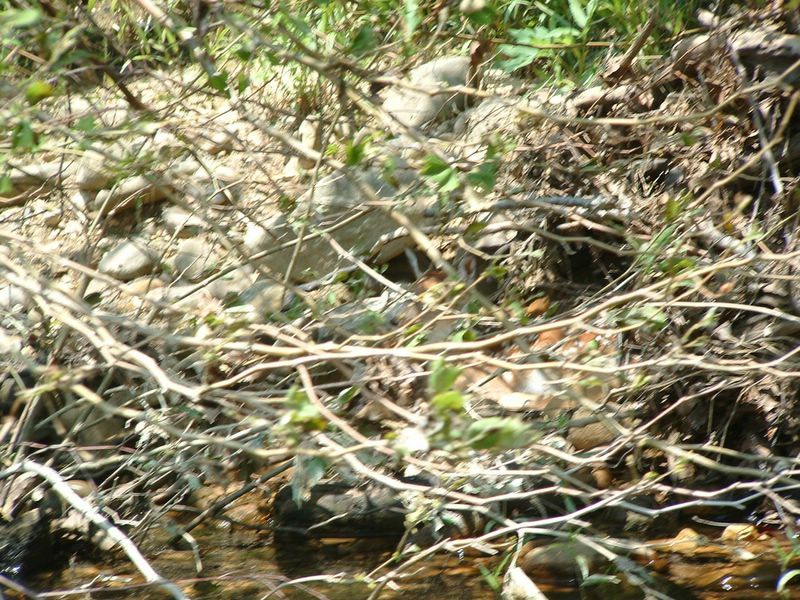 We also saw a fawn deer lying next to the bank in some brush. It blended in so well. Around the 11.6-mile mark, we heard Jeff calling to us from shore. There was a nice shaded campsite in a small, circle shaped campground. And it wasn’t busy on this Sunday evening. Everyone had these folding chairs you can buy at any department store except Tony who was trying to keep weight down by using a bucket to sit on, but he wasn’t comfortable. We saw some trash in the river, mostly beer cans and such and Tony saw a kitchen knife on the streambed and picked it up. Then later while going over some little rapids Tony saw something else in water. Low and behold there was a new folding chair lying in the water. After drying it out Tony had a chair like all the rest. Jeff says it was karma for picking up the knife and saving someone from cutting themselves?? Harold and Laurie met up with us at Ozark Landing. We’re now 8 OHCRA members strong. Harold has a new game, Mancala, an African strategy game. It made you have to think, something we were starting to forget to do after being in this relaxing place.